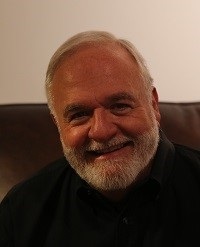 Bill Windsor is recounting the history of 10 years of fighting corruption at 10:00 am Central Time on February 15, 2015 -- Day 49 on Lawless America Road Trip #3. ...Still haven't caught him after 49 days. Why does the Government want to silence Bill Windsor? Part 1 -- This part of the story covers Bill Windsor's personal experiences with the courts in Georgia. Part 2 will cover the events that lead to the movie, the filming, and thousands of stories of corruption from all across America. Part 3 will cover defamation, cyberstalking, attempted murder. Part 4 will cover Montana. Part 5 will cover Ellis County Texas. Part 6 is yet to happen. When Bill writes "Why does 'the government' want to silence" him, this seems like it is various "government entities" as opposed to a nationwide plan. Then again, when we see every federal judge wherever they may be doing the saame stuff, it makes you wonder. Bill Windsor reports that he is changing locations. Many folks would be upset with changing locations so often, but for 365 days in 2012-2013, William M. Windsor changed locations an average of every couple of days. Bill did receive a pile of mail yesterday. What wasn't in it was the most interesting. Bill says he will discuss this when the time is right. Bill met an Angel this week. 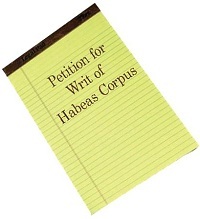 Anxiously awaiting word from the Texas Tenth Court of Appeals on the Petition for Writ of Habeas Corpus.